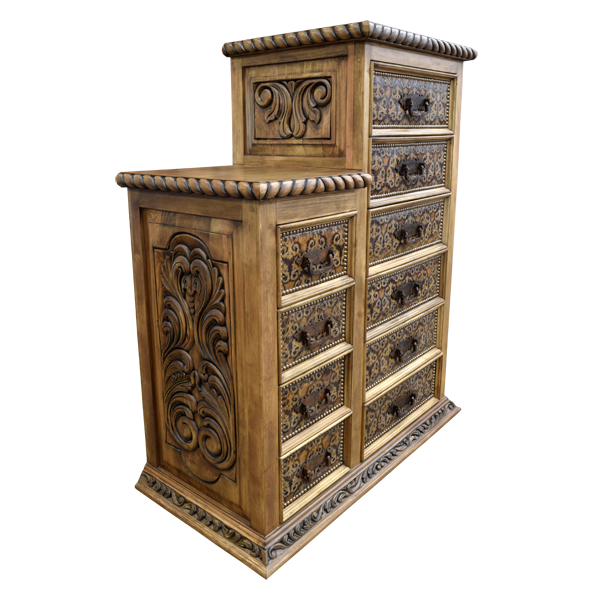 This handcrafted, Western style dresser has an innovative design, and it features full grain leather and a beautiful finish. The dresser´s left top is lower than its right top, which allows for an interesting placement for a lamp. The left side of the dresser has four, small, vertical, rectangular drawers, and the right side of the dresser has six, larger, vertical, rectangular drawers. 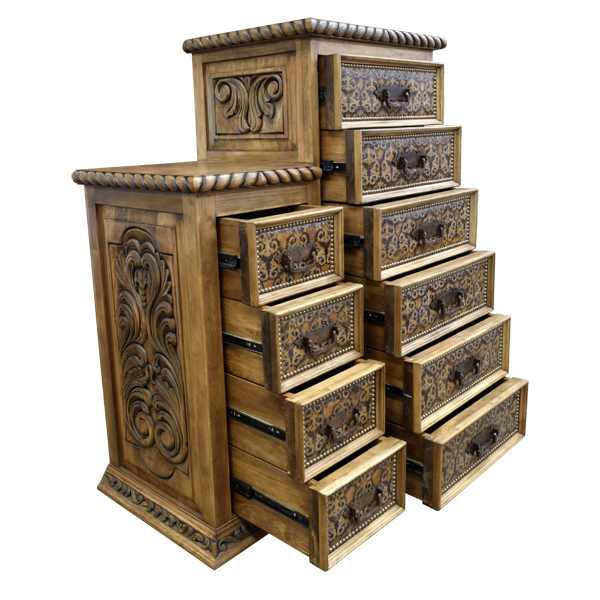 All of the drawers are covered with rich, brown, embossed, full grain leather, and the leather is hand tacked to the drawers with decorative, gilt nails. Centered in each drawer is a hand forged, iron handle. 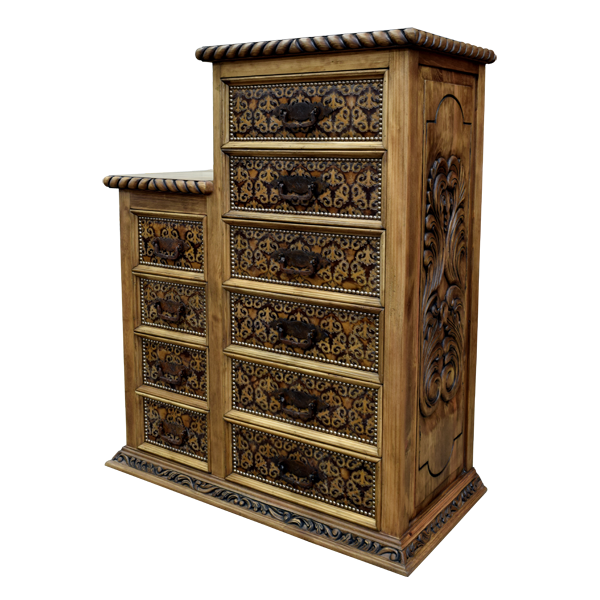 Both of the dresser´s top rims are adorned with hand carved, twist rope designs. 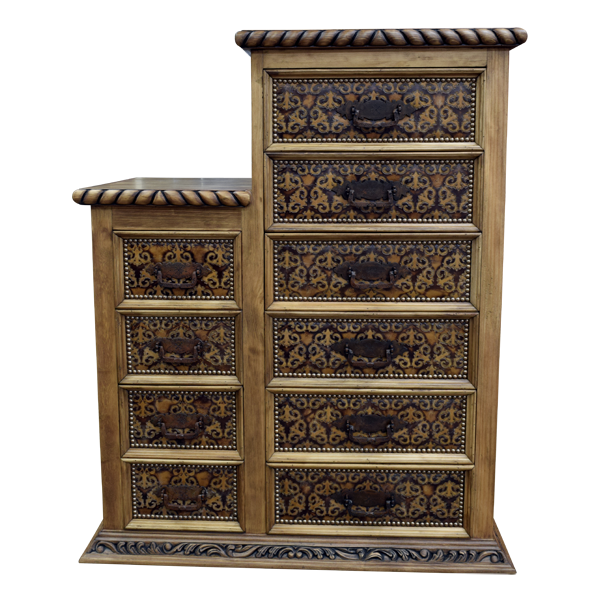 The dresser rest on a solid wood molding base, and the base is embellished with hand carved, floral and scroll designs. 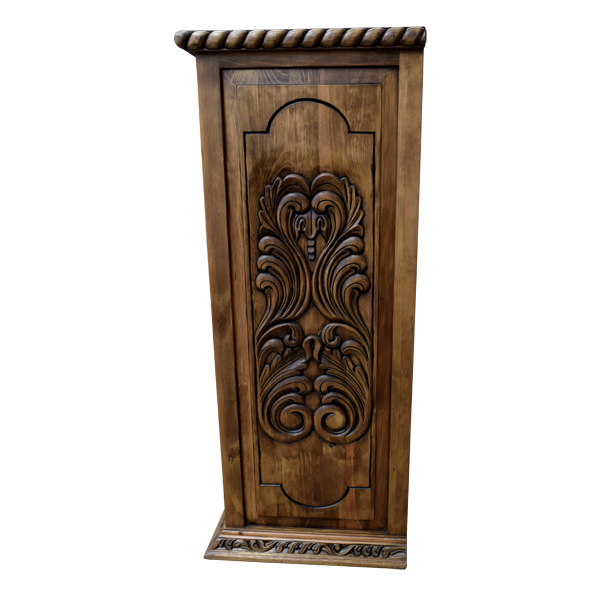 Each side of the dresser is enhanced with a decorative, geometric cut panel, and centered in each panel is a hand carved, floral and scroll design. The dresser is made with the best, sustainable, solid wood available, and it is 100% customizable.